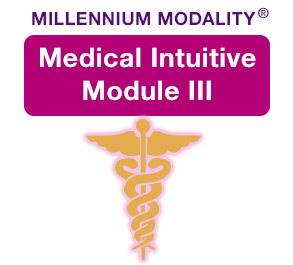 Millennium Modality Medical Intuition (MMMI) – Module III explores the ancient wisdom of illusions, modern day understanding of relativity consciousness and EGO with Jean Sheehan. Once you understand there is nothing separate from you life becomes magical and potential. The true understanding of self realization and enlightenment are shared and experienced. This incorporates DNA, Kundalini (God like energy connected to chakras for self realization) and ascension. You have an opportunity to move through aspects of dimensional shifts and experiences to open new door ways of perception and outcomes are integrated through extensive crystal gridding and psychic surgery. This unit assists to build a bridge between the conscious and subconscious brains to remember we are conscious co creators and therefore can manifest anything. The body is used a medium in to the unconscious secrets through the understanding of body shapes and their meaning. DNA activation and understanding is required to integrate the physical and metaphysical aspects of being the change you want to see and recreate new characteristics and outcomes.